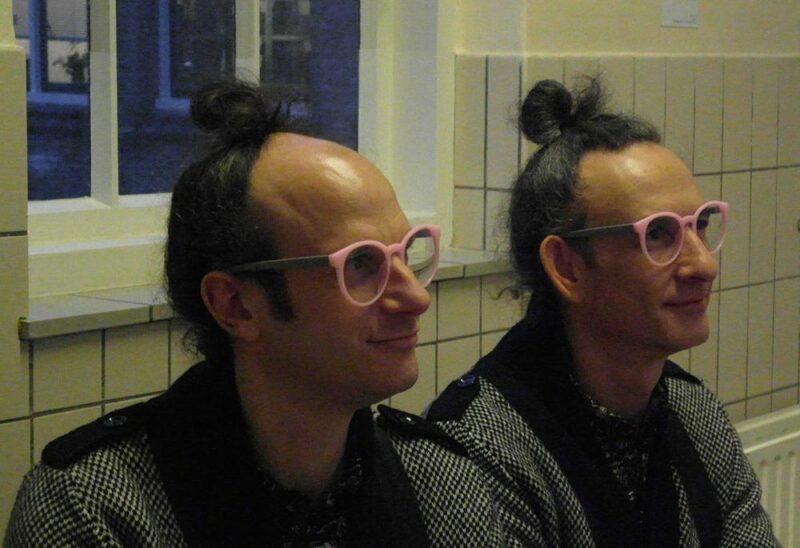 Gil & Moti are known for their unique social artistic engagement in art and for working strategically in multiple disciplines. They switch effortlessly between classical and contemporary artistic mediums of expression from photography, painting, video, performance, and installation art. They work together exclusively since 1998 and have been engaged in an on-going exploration of identity, the notion of individuality, and related social norms and forms. Their approach is based on a few simple rules: always to dress identically, to do everything together, and to own only one wallet, phone and set of keys between them. Via small-scale social interventions, they address important socio-political issues, such as discrimination, social exclusion and racism. As artists, a gay couple, immigrants and Jewish born (ex)Israelis, they have direct experience of such issues within their own personal lives. Their appearance invariably causes surprise and amusement, enabling them to raise the subject of identity and otherness in a way that is always subtle and playful, but no less serious. In 2015 they received the MK Award, Dutch prize for visual art.